Raise your hand if you're still playing Lemonade on repeat—yep, that's just about everyone. The album may have been released back in April, but our obsession surely hasn't waned. When the visual album first came out, we dissected everything: We drooled over the impeccable style just as much as the amazing songs. Now Beyoncé herself is giving us even more to chew on, releasing never-before-seen images from the making of the film. Predictably, the photos are stunning—but did you really expect anything less from the Queen Bey? Released on her website, the images offer behind-the-scenes looks at each of the songs on the visual album. From that infamous yellow dress in "Hold Up" to a dramatic photo from "6 Inch," the images will excite every Beyoncé fan out there. We rounded up our very favorites, but head over to Beyonce.com to check out the rest. 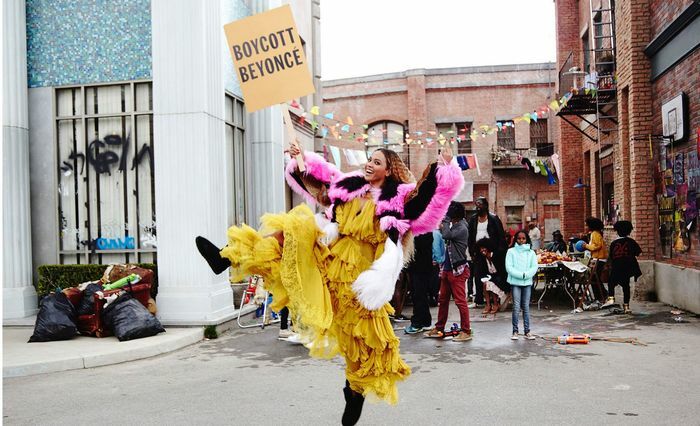 Scroll down to see Beyoncé's behind-the-scenes images from the making of Lemonade! Which photo is your favorite? Tell us in the comments below, and then buy Lemonade on iTunes for yourself!